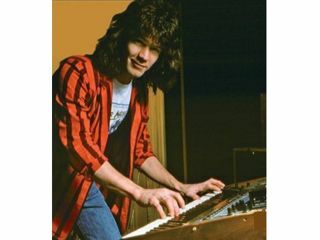 1984 was the little keyboard intro from the Van Halen album of the same name that segued into the smash hit Jump. Well, here's a little time capsule that has just been unearthered: a rare live extended version of 1984 played by guitarist Eddie Van (joined by drummer brother, Alex). To the best of anyone's knowledge, it is the only known recording of this elongated jam.